Sleep is something I struggled with my whole life, and to this day I still need a fan as background noise to help put me to sleep at night (actually two of them). In the US there are over 40 million people that have a chronic sleep disorder, which is a disruption of a normal sleep pattern that is persistent and will last for more than three months. These are Insomnia, Restless Leg Syndrome (RLS), Sleep Apnea and Narcolepsy. The most common of the sleep disorders is insomnia, right there are over 70 million people who suffer from insomnia (me being one) and 29% of adults have reported to sleep less then six hours a night regularly. There are two types of insomnia, Primary Insomnia: which is a condition where you are experiencing sleeplessness which is not related to any other heath issues and Secondary Insomnia: which is when you are having sleep problems due to health conditions such as asthma, heartburn, chronic pain, depression etc. If you are experiencing Primary Insomnia, there are a variety of treatment options for it including: medications, relaxation techniques and aroma therapy to name a few, If you are experiencing Secondary Insomnia, then you should talk to your doctor and discuss what therapy option might be best for you, depending on the condition you currently have that is keeping you from a good nights sleep. There are 18 million people who suffer from Sleep Apnea. Sleep apnea is a common disorder were there are pauses in breathing because the airway collapses or becomes blocked during sleep this may occur up to twenty or thirty times in an hour. It is typically a chronic condition that disrupts your sleep and often as a result, the quality of your sleep is poor. It is more common in people who are overweight but it can affect anyone. Sleep apnea is a chronic condition that requires long-term management. Lifestyle changes, mouthpieces, surgery, and breathing devices can successfully treat sleep apnea in many people. The number of people who suffer from Restless Leg Syndrome (RLS) in the US is 20 million. People who suffer from RLS have uncomfortable sensations in their legs with an uncontrollable urge to move their legs to relieve these sensations and for some people, this may cause a nightly sleep disruption that can significantly impair their quality of life. How do we treat RLS? With diet, exercise and simple lifestyle changes and decreasing the use of caffeine, alcohol and tobacco use may be helpful. Right now in the US there are over 200,000 people suffering from narcolepsy, which is a disorder that causes periods of daytime sleepiness. This condition is brought on by not sleeping well at night and some people who have the disorder fall asleep suddenly, even if they’re in the middle of talking or eating. Narcolepsy has no cure, but medicine and lifestyle changes again can improve symptoms. Sleep deprivation is a major cause when you’ve hit a plateau on your weight loss and can even lead to weight gain. Lack of sleep slows your metabolism and raises your level of cortisol in your brain. A few columns ago we talked about cortisol levels in your brain and how it is the stress hormone that stimulates hunger. Studies have shown that insufficient sleep can cause the release of additional cortisol making it even harder for you to lose weight. The recommended sleep for an individual is between 7 and 8 hours a night. 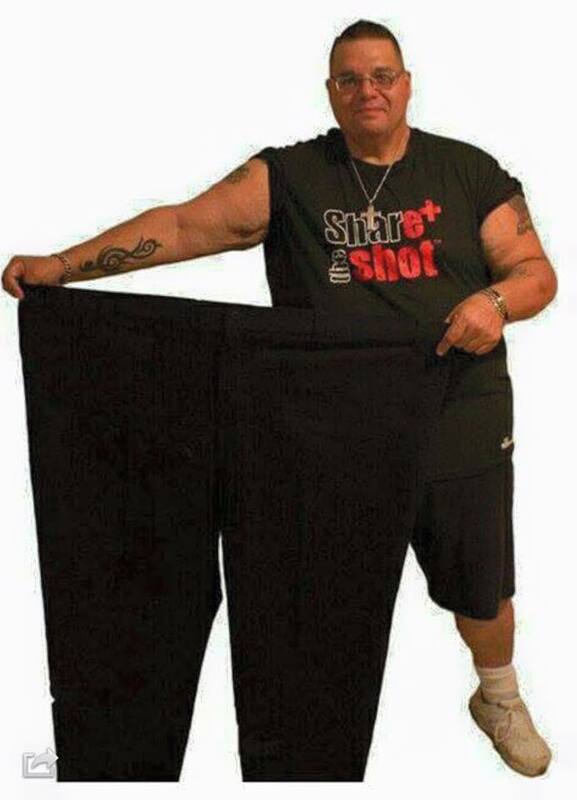 Rick Bellanti is a wellness columnist and is on a journey himself to lose 240lbs, and has lost 160 lbs since the start of 2015. If you have any questions or comments, please post them to his Getting Healthy with Rick Bellanti Facebook page and once a month he will address a few of the topics here. There are many reasons that one can be afflicted with insomnia; environmental, psychological or physical. Unfortunately all medications, including over the counter meds, for sleep also have negative side effects including; depression, anxiety and negative emotions like anger. Because of this I have always recommended to my psychotherapy patients that they use a good guided meditation for getting to sleep. There is one called Sleep, available at http://www.lightunlimitedpublishing.com, that has proven to be very effective for everyone I have recommended it to. It is a lot less expensive than any medication and no negative side effects.